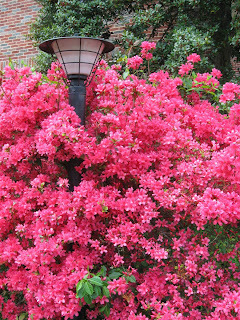 The lamp post cloaked in fuchsia azaleas. 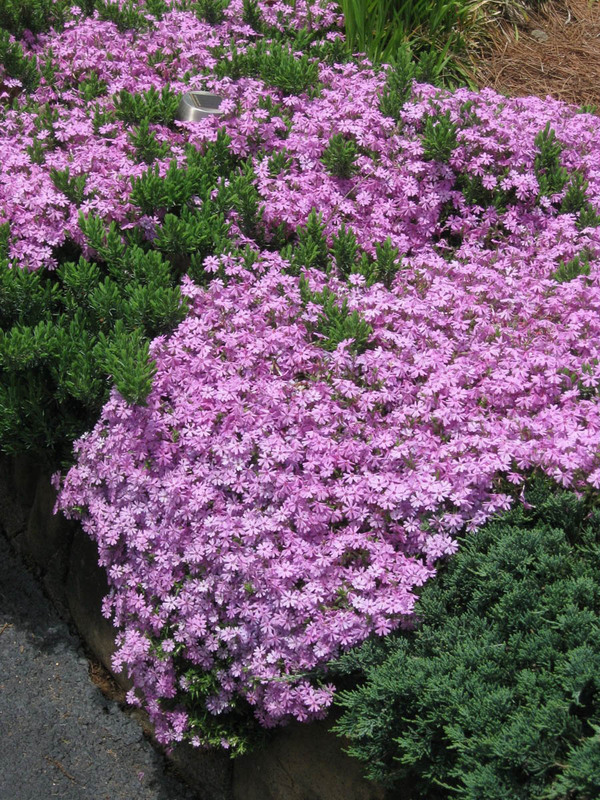 Does Mother Nature's palette influence your fabric choices? 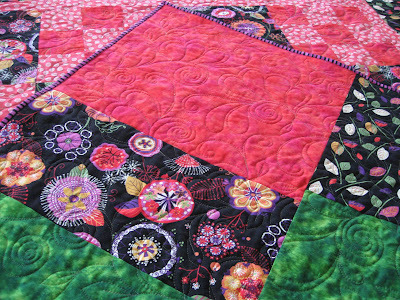 Or, do your quilts project your hopes for a brighter color scheme for the color-bland pre-Spring landscapes? 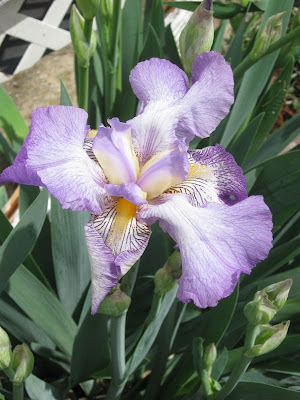 It seems the colors of Spring bloomed in our yard this week. 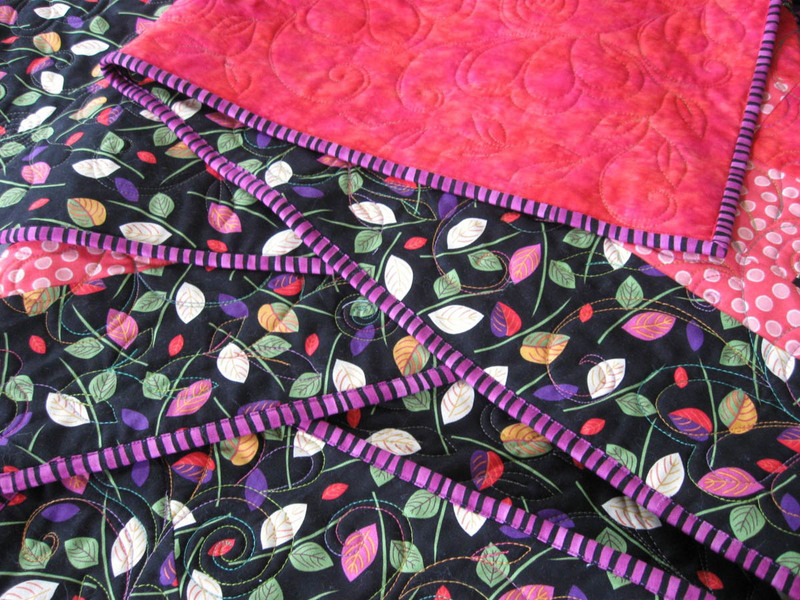 As I finished attaching the label on Hop Scotch, the colors through my window seemed to mirror the colors of the quilted fabrics in my lap. Hop Scotch: back view of the quilting. 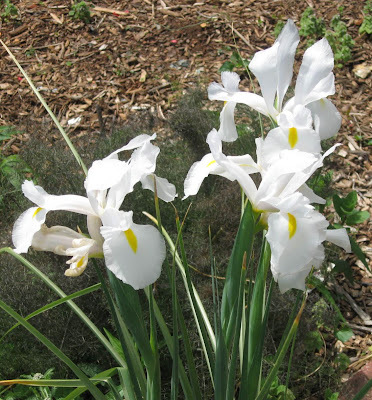 The white accents in the fabrics resemble the delicate leafy petals of our White Perfection irises. 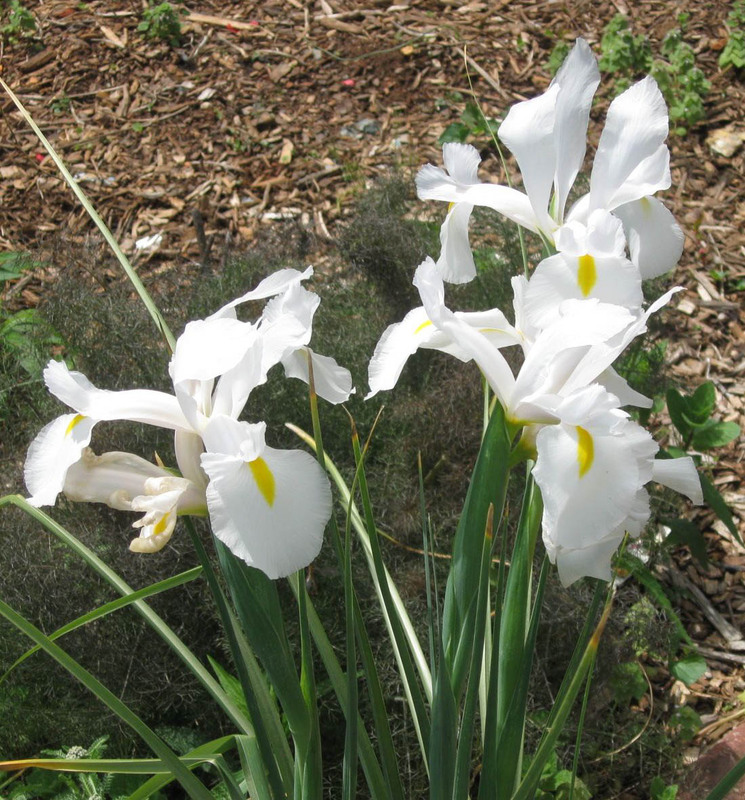 "White Perfection" irises from our wedding reception. 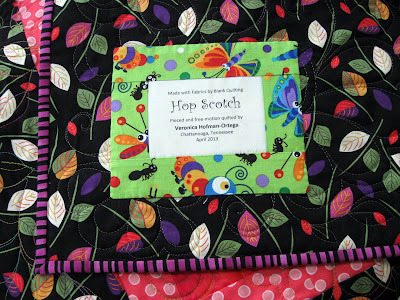 Hop Scotch is a fun and easy, 3-yard quilt pattern by Heirloom Elegance. The quilt is comprised of 9-patch blocks with alternate plain blocks. 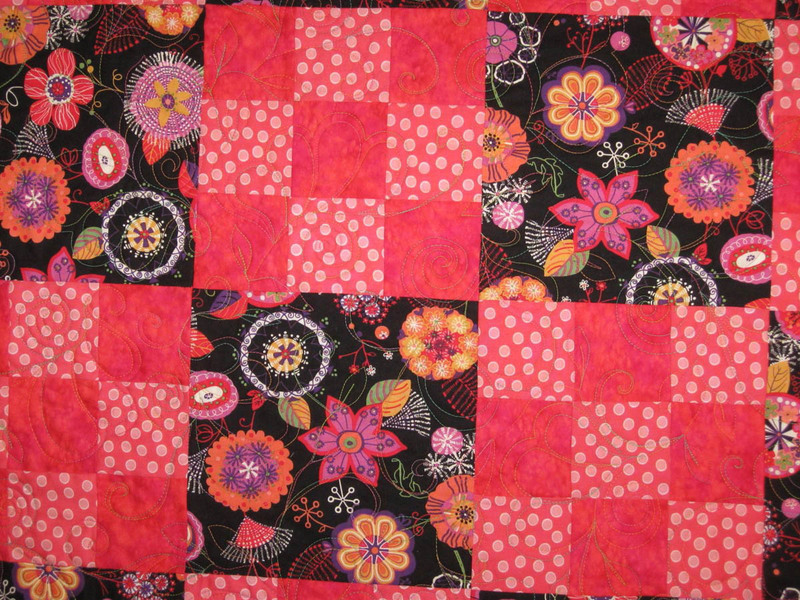 The blocks finish at 9 inches and I used a 5 x 5 layout that finished at 58" square. Solid blocks and alternate 9-patch. 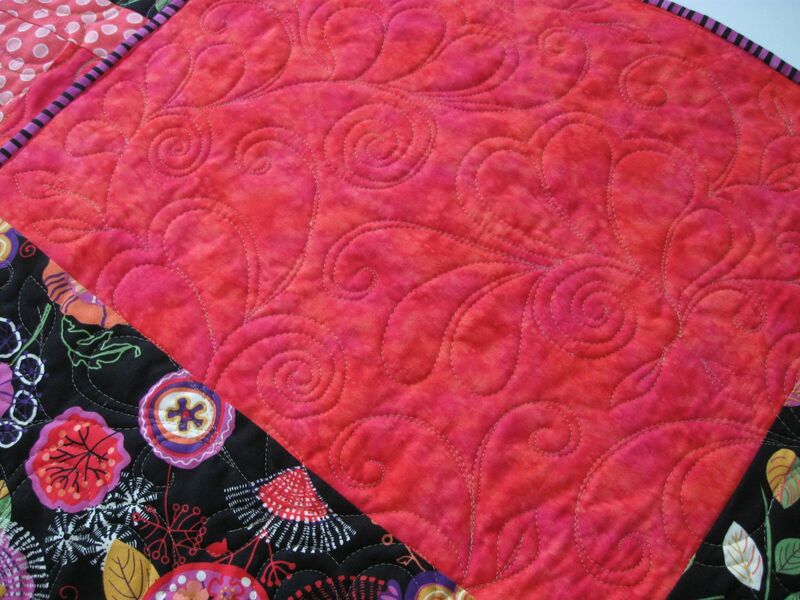 The 9-patch in my Hop Scotch combines Splash (in coral) with Sisley (dots), and the solid block is from the Madison collection, all from Blank Quilting. 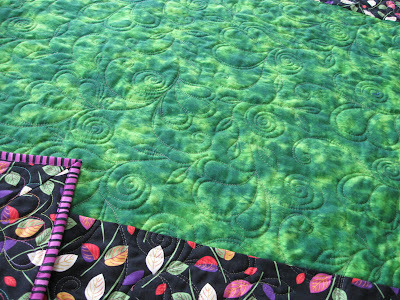 More Splash (in meadow) found a place in the pieced backing. Purple thrift among the evergreen shrubs. 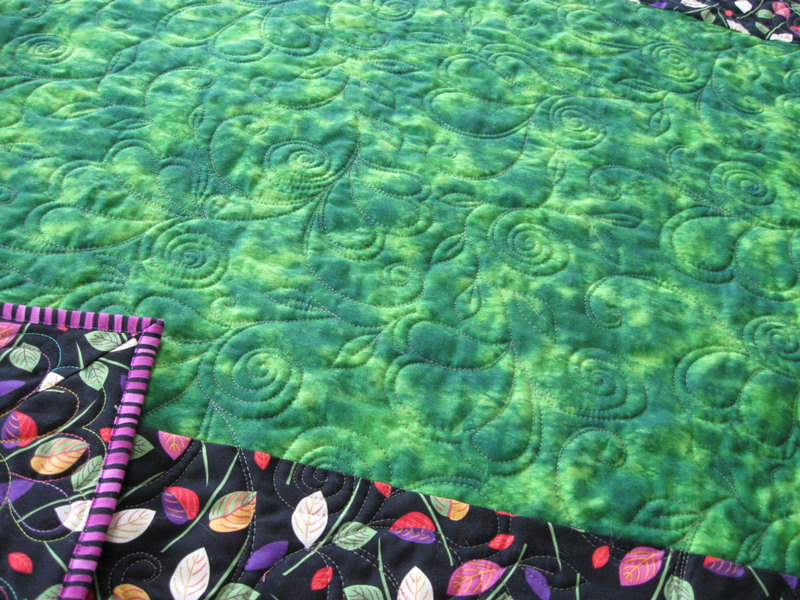 Hop Scotch: back view of quilting on Splash (meadow green). 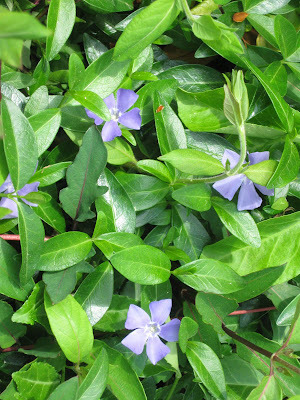 Vinca: a sprinkle of blue violet on a ground of green. The striped binding adds a little zing. 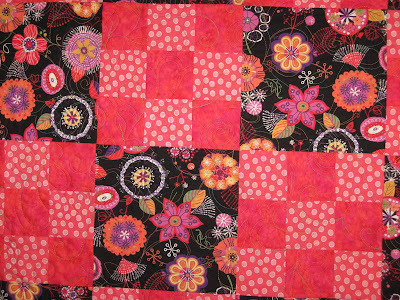 The repetition in the stripe complements the randomness of the whimsical flowers and stylized leaf prints. 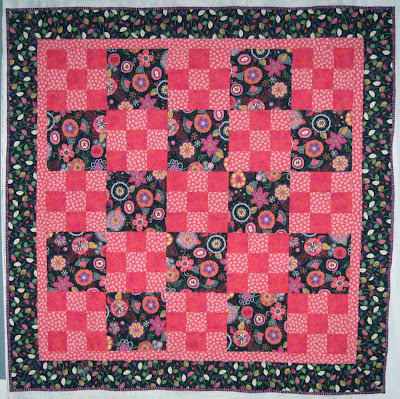 Hop Scotch full view (58" x 58"). No garden is complete without bugs. 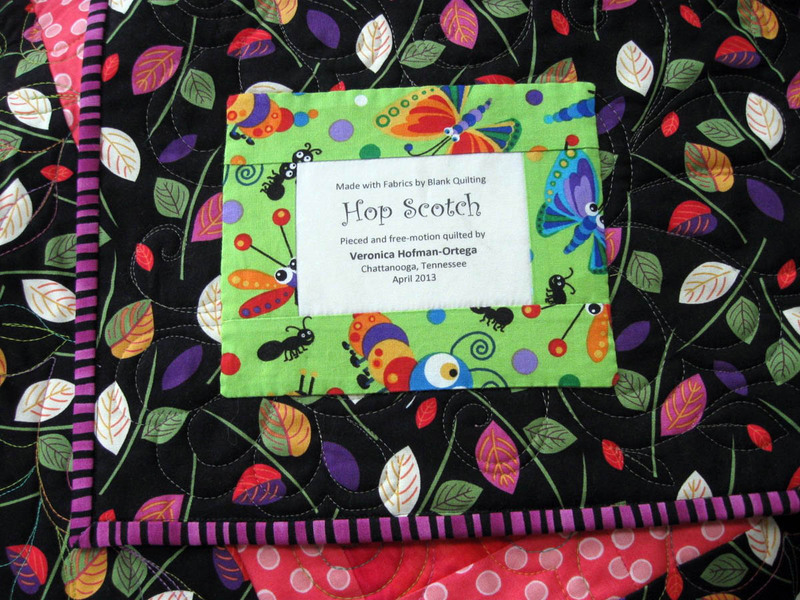 Here is the label for Hop Scotch—bordered with quirky, big-eyed insects from Bugalicious. 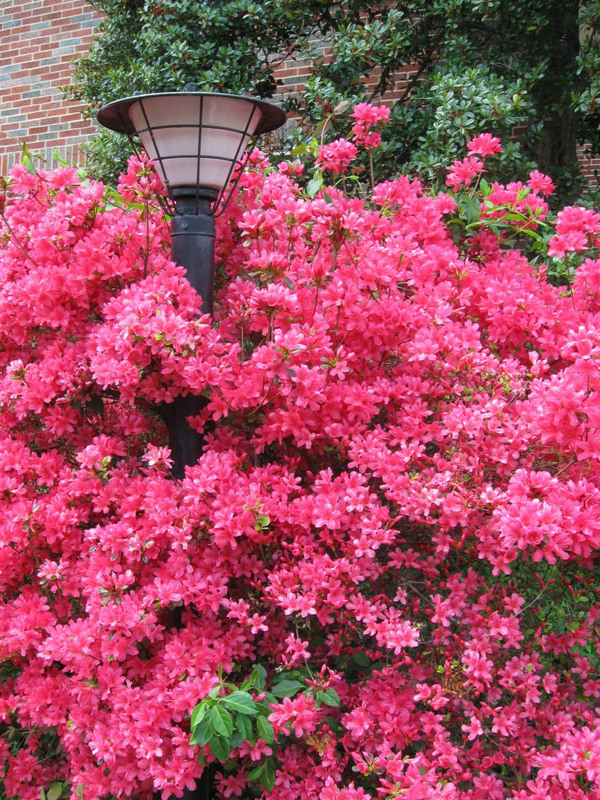 Happy Spring and Happy Earth Day!